The Tunbridge Wells International Music Festival returns this year at the end of the month, kicking off with the Tunbridge Wells Symphony Orchestra on 2nd October at the Assembly Halls. More information. And on 9th October, there's a chance to hear the fantastic pianist Michael McHale, playing a Mozart concerto with the London Sinfonia. Michael accompanied Felicity Lott in a recital at King Charles last year, and he was sensational. The Festival is well worth supporting, so see their full programme here. 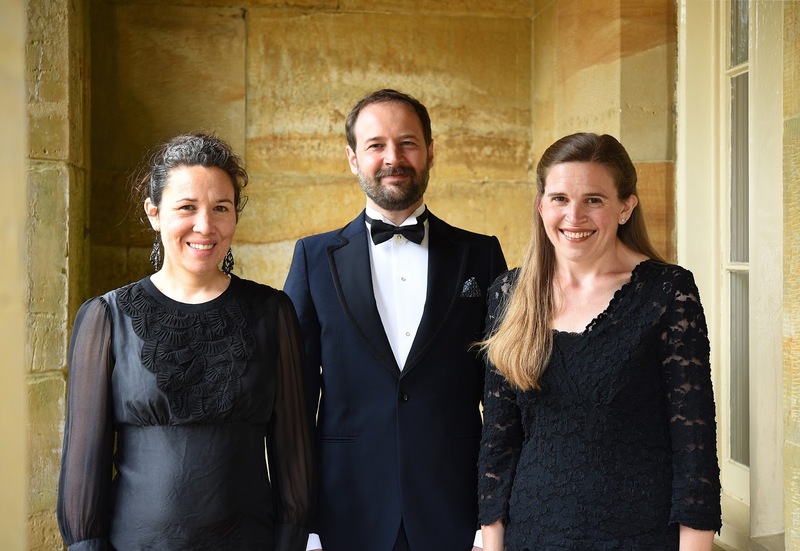 Music at King Charles has its own concert on Saturday 8th October, with three seminal Beethoven quartets played by the Archaeus String Quartet. Buy tickets here. King Charles church is then the venue for the Festival concert on Thursday 13th October, when the world-renowned Schubert Ensemble will play piano quintets by Bruch and Schumann. Buy tickets here. And the church also hosts a special Flute Masterclass with Karen Jones, professor at the Royal Academy of Music, on Saturday 29th October. Just coming up, meanwhile, over at West Malling, we recommend the music series 'Music at Malling' with a variety of high-class performers from the classical scene. This runs from 23rd September to 1st October. A particular highlight will be the complete sonatas for violin and harpsichord performed by Steven Devine and leading Baroque violinist, Richard Gwilt, on Tuesday 27th September at 1pm. But there is much more, as you can see from the Music at Malling website. Do keep an eye on the Beult concert series, too. There's a great jazz concert coming up on 1st October, and the CODA chamber music series' next event on 16th October at Rose Hill School in Tunbridge Wells. To keep in touch, why not FOLLOW this blog? Just click on the button down on the right hand side of the page on the web version of the site. A piano and piano trio recital of late works by Franz Schubert. Tickets available (discount for advance booking)from https://www.ticketsource.co.uk/mkctw or from the performers directly. Katharine Gorsuch Johns (violin) was a member of the prize-winning Bronte String Quartet from 2001 to 2006 and now works as a freelance violinist. Having studied with Itzhak Rashkovsky and Miriam Fried, her playing career has taken her to venues such as Wigmore Hall, Queen Elizabeth Hall, and St David’s Hall. She has also performed at IMS Prussia Cove and on BBC Radio 3. Her recent work includes performances with Independent Opera at Sadler’s Wells and English Chamber Orchestra. Miriam Cox (cello) studied at the Junior Academy under Robert Max and later at the Royal College of Music with Alexander Boyarsky. Since 2009 Miriam has been heavily involved in the Kent original music scene, playing with several groups and singer songwriters. She wrote and recorded, along with her husband, drummer James Cox, for Frances Yonge’s recently released third album Stonewaller. Miriam and James also feature in the loosely labelled ‘folk’ band Son of Kirk, who regularly play in London and the South East and with whom she will soon be recording a second E.P. Alexander Metcalfe (piano) studied at the Royal College of Music under Raymond Fischer and was subsequently awarded a Nelly Ben-Or foundation scholarship to study the application of Alexander Technique to piano playing. He has performed at many prestigious venues throughout the UK and Europe (including LSO St. Luke’s, the Royal Albert Hall and King’s Place) and played with a variety of orchestras and ensembles (including London Sinfonietta and London Symphony Orchestra). He has given lecture recitals on many of the great masterpieces of the Classical and Romantic eras (such as Liszt’s B minor sonata, Schumann’s Fantasy in C and the last 3 piano sonatas of both Beethoven and Schubert.) His debut CD, a collection of works by Erik Satie, was released in 2014.